Every religion tries to answer some fundamental questions about God: Who is he? How does he work? Does he have a plan for me? But the God we read about in the Bible welcomes our tough questions—and wants us to have the answers we need. That’s why he gave them to us in his Word! 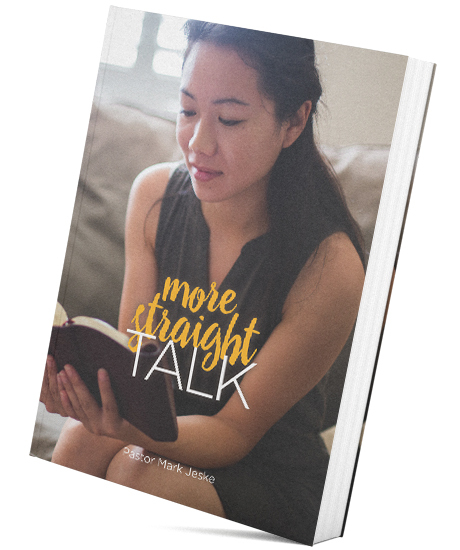 Pastor Mark Jeske wants to give you biblical answers to your tough questions by sending you More Straight Talk—a follow-up to his popular book, Straight Talk. In it you’ll find over 150 new questions and answers based on the timeless truths of God’s Word. Paperback book, 228 pages, 5.25" X 8"
Successfully added More Straight Talk to your cart.